Fuel for the Happy Driver: Leave your car at home!-Ingrid Weighton's Driver Education Ltd.
FUEL FOR THE HAPPY DRIVER: leave your car at home and party downtown! 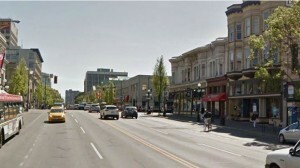 Car Free Day is coming to downtown Victoria. On Sunday June 21st, six blocks of Douglas Street will be closed to traffic, between Herald and Fort Streets from 12-6pm. Three stages will take over the roadway for a street festival including music, artists, and food trucks. The event is modelled after Vancouver’s Car Free Day, which attracts tens of thousands of people.